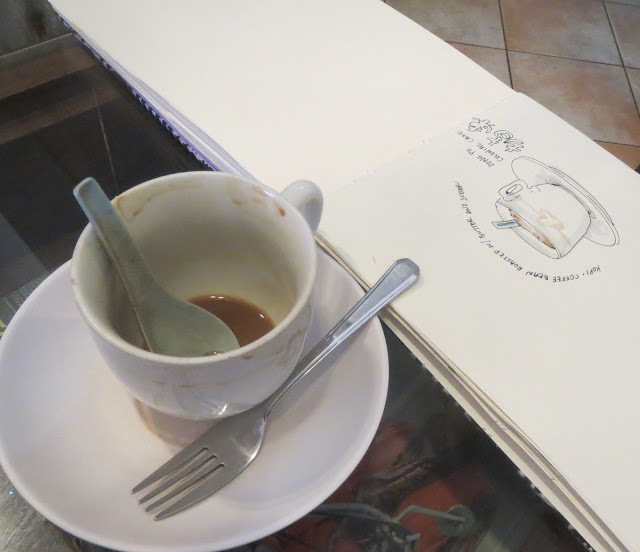 Last month my wife went to the 2015 Urban Sketching Symposium in Singapore. For those of you who don’t know the Urban Sketchers are a fun, talented, pen-and-paper passionate bunch who like to draw, love to learn, and enjoy uniting artists around the world. Since I’ve met many of them on earlier trips it was nice to see familiar faces - such as The Portland Sketcher, with whom my wife and I got to enjoy coffee. It goes without saying that if you are a non-sketcher and you are partnered with a sketcher you should bring your bike and go. 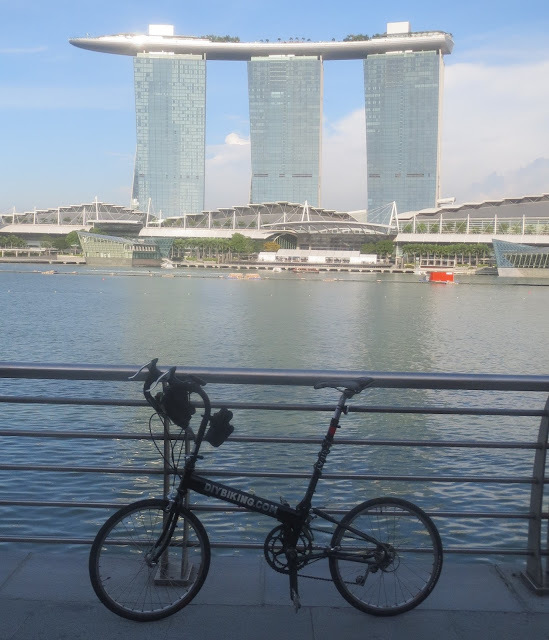 Thanks to USK I’ve been able to bike in Lisbon, Santo Domingo, Barcelona, Paraty - and now Singapore. I’ve got good news: Singapore is a beautiful place with very nice people and some of the most outstanding food I’ve ever eaten. If you like to bike and you like to eat this is a great country for both. 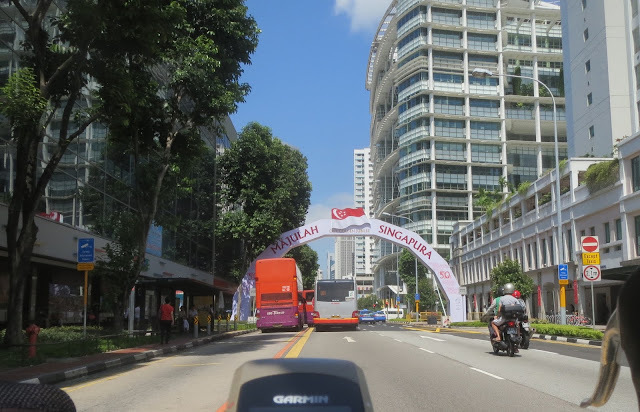 The bad news is Singapore is not made for cyclists. The country is celebrating their 50th birthday this summer and it’s clear cars were ruling everything for the first five decades. No visible bike lanes, no sharrows and not a lot in the way of a shoulder. The bike-friendly areas that do exist only seem to share space with pedestrians rather than cars (and to Singapore’s credit they’re very nice places). The taxicabs in Singapore aren’t quite as obnoxious as they are in New York City but if a motor vehicle passes you too closely chances are excellent it’ll be a cab. Also you need to be mindful of the storm drains which are eager to flip any cyclist who dares ride too close to the edge of the road. However, Singapore’s strong points outweigh its weak ones. But I do hope the next 50 years are about how to make cycling easier for its citizens and its visitors. But if you want to go biking in Singapore now - and I recommend it - there are a few things that are good to remember. First, remember that it is going to be hot. Think 90+ degrees with 100,000% humidity. When you first step out of the airport you’ll feel yourself walking slower since your body has to push all the wet air out of its way. Bike more than two blocks and your body will be covered by sweat that will feel like a cross between motor oil and movie theater popcorn butter. Smear on the sunscreen, fill your Camelbak early and often, and wear white jerseys. Another thing to remember is that they drive on the left in Singapore. If you’re from the UK or from another country where they drive incorrectly you can skip this paragraph but if you’re not used to riding on the left you have to take a little time to get used to turning, signaling and merging. Also the steering wheel is on the wrong side of the car. I try to make a habit at traffic lights to turn my head and make friendly eye contact with drivers nearby (so they are aware I’m a human being and so forth) but if you look on the left side of the car you’ll sometimes spot a sleeping adult, a three-year-old child, and so on. So remember the driver is sitting in a space on the other side of the car and be patient if you’re biking or walking around Singapore (a lot of it may have been preparations for the 50th birthday party). The hassles aside, you can pretty much go anywhere your tires take you - as long as you’re cautious and have a reliable bike. Thankfully, my 1998 Bike Friday New World Tourist - now on its sixth country with me - worked perfectly and wasn’t poked by Homeland Security on its way to Singapore. The first two days of Singapore were similar in that they were defined by my greed. 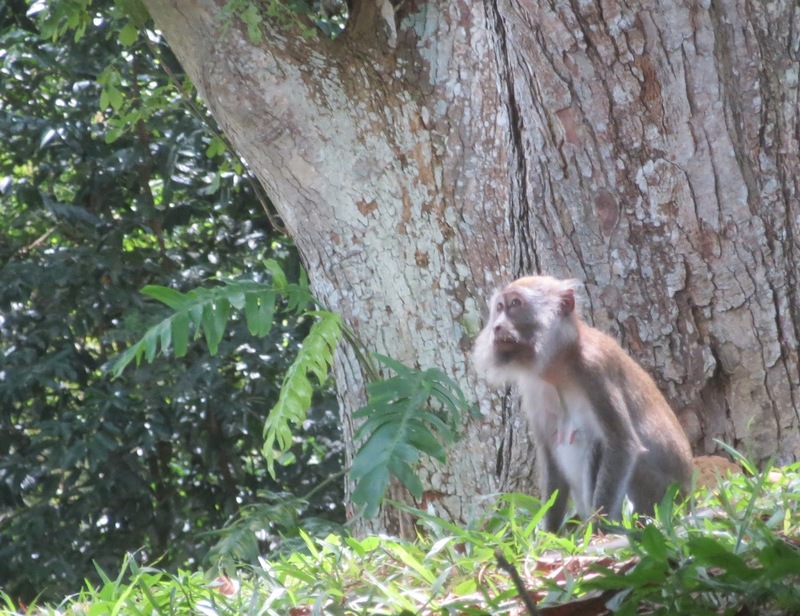 I wanted to bike to Malaysia. I crossed international borders on a bike once before and I thought when else will I have a chance to do this? The 14th country I've biked in as a springboard for the 15th. I was looking forward to getting to the border and writing because it’s there on the customs form section that asks why you’re visiting the country. However, getting to the border wasn’t as easy as it looked. For one thing it meant biking on the BKE which felt like riding on Interstate 95. I kept asking myself if I was allowed on this road because it felt like I shouldn’t be. Following a cheesy hotel map (what else?) I got lost and ran out of time the first day. I got very close to crossing the border on my second attempt. I made it all the way to Woodland checkpoint and spent 45 minutes trying to get across. There didn’t seem to be a way to do it that didn’t involve riding on a highway - which I was still unsure I was even allowed to do in Singapore. At the border I saw the lane for cars, the lane for lorries, the lane for passenger vans, the lane for motorcycles…but nothing for the non-motor vehicle user. I had been told by two people I met to use the motorcycle lane but with two lanes of fast highway traffic between me and said lane - and the fact I was running out of time once again- made me turn back. But I got to see monkeys on the ride back to the hotel. That was cool. It would have been even better if there was an infinite number of them and they were all using typewriters but it was still cool. Also - on day one and day two - I was lucky enough to find a hawker stall when I was ready for lunch - and these are places you have to seek out in Singapore: inexpensive and delicious food sold wherever you turn. On my first day I had duck rice for $5 and on the second day - at Adam Food Centre - I had 10 chicken satay sticks for $6, lime juice for $1.50 and some strange chicken noodle dish for $3. Still another vendor got $2 from me for two large bottles of water to replenish my Camelbak. Some of you may remember that in Paraty I got - amazingly, considering the muddy mountain roads I subjected the Bike Friday to - only one flat tire in my hotel room. This time, on a road in Singapore, I ran over an alarming number of nails and the predictable happened. This wasn’t the kind of thing I’d expect to happen in a country that has $10,000 fines for dumping. But it did happen, and since I was prepared for it I changed the tube without any problems. The nail was so large I kept it as a souvenir. That evening I took a short spin downtown to where they were doing rehearsals for their 50th anniversary bash. Deciding not to make a third attempt to bike to Malaysia I decided that I’d ride elsewhere on my final day in Singapore. And it was worth it.